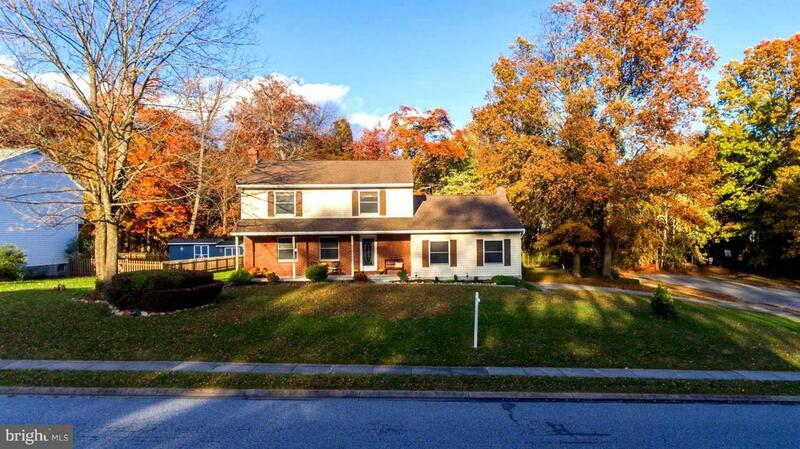 Fabulous 4 bedroom 3 1/2 bath, porch front colonial home in sought after Bel Air. NO HOA! Single family home located on large corner lot backing to trees/tidal wetlands. Side street is dead end providing privacy, additional parking and freedom to park boats, recreational vehicles, work vehicles, etc without worry. Four car garage - two car attached, two car 27x23 detached large enough for vehicles as well as workshop. Professionally painted 2018 and new hardware. Waterproofing system with lifetime, transferable warranty installed 2018. Large all-seasons room with large windows on all sides overlooking the picturesque setting. Basement partially finished with full bathroom ready for your dream entertainment area. Exit to all seasons room accessible through basement as well as slider from the family room. Large storage room/workshop. Short distance to the interstate as well as town.